The Geo Twister Fidget is an awesome stress reliever and fidget. You can manipulate this cool toy into lots of different shapes. 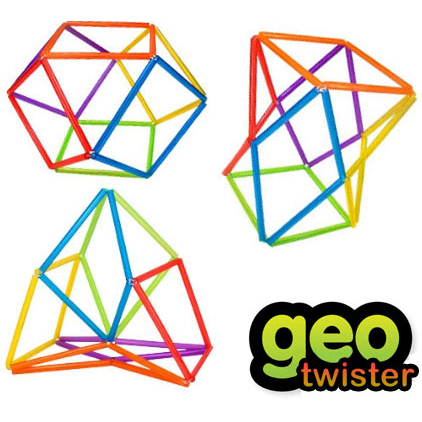 The Geo Twister Fidget will keep your hands occupied and your mind engaged. Once you pick up this geodesic toy, it's hard to put down. Approximately 8.5" wide x 8.5" high when in the star position, colorful plastic tubes and string. Note: This listing is for (1) Geo Twister. Above are multiple ways to bend & twist the Geo Twister to give it a different form.